The 25th annual Hull Pottery Association show and sale will take place this week in Crooksville. To mark the 25th year a commemorative piece of pottery has been made. 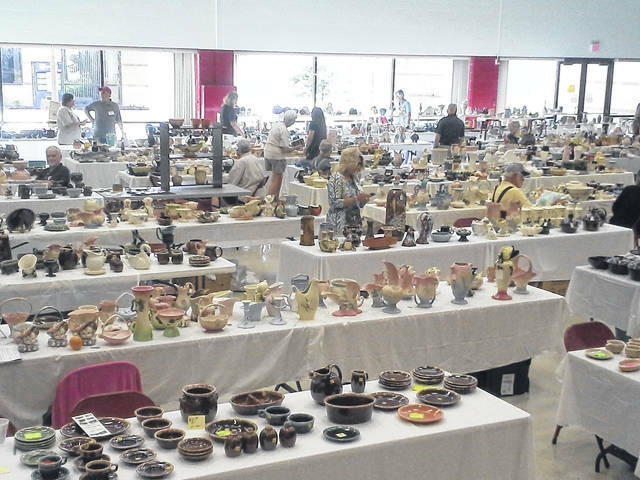 CROOKSVILLE — The Hull Pottery Association 25th annual National Show and Sale will be July 13-14 at the Crooksville High School, which is located one mile south of Crooksville on Ohio State Route 93. Hours for the show are 9 a.m. to 4 p.m. July 13 and 9 a.m. to 3 p.m. July 14. The first hour each day is for members only. The Hull Pottery Association social hour and get-together will be held on July 12 from 6-8 p.m. at the Roseville Community Center. The company may no longer exist, but enthusiasm hasn’t waned, and the Hull Pottery Association National Show will display the largest collection of Hull pottery in the world. The company began production in 1905 and their early lines consisted of common utilitarian stoneware. During the 1920s American manufacturing was beginning it’s hayday, and Hull expanded their product line to include art pottery. They also began using a broader variety of colors and glazing techniques. The late 1930s through 1950s saw popular lines such as “Red Riding Hood”and art pottery lines and floral themes such as Orchid, Magnolia, Calla Lily, Rose and Tulip. Hull Pottery’s pastel lines were in high demand, and the response was to expand production to include piggy banks, liquor bottles and lamps. From the 1940s through the 1960s Hull plant and flower containers were well received by florists and their customers, and often a floral delivery was contained in a Hull pot or figural planter. Like many other American pottery and glass companies, Hull closed in the 1980s due primarily to foreign competition. 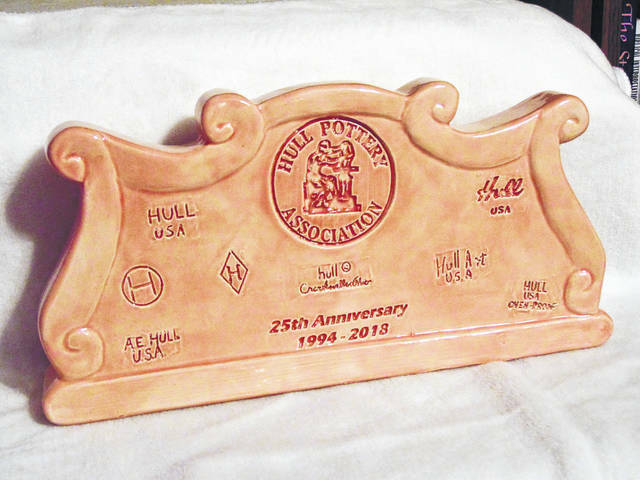 The Association sponsors the National Show each year in Crooksville, giving attendees and club members an opportunity to see thousands of pieces of not only Hull Pottery, but also pottery made by other American manufacturers like McCoy. In addition to pottery and friends, there will be lots of drawings and giveaways. A luncheon at noon July 14 will honor past Hull Pottery Co. employees. The luncheon is open to members. Past employee honors and scholarship awards will take place at approximately 11:30 a.m. There will be a demonstration on how to make pottery. While pottery pieces can be viewed, many pieces will be for sale as well. Hundreds of authentic, rare and one-of-a-kind pieces of Hull Pottery, and many other favorite pottery pieces, will be on display. The public is invited to join members, dealers and collectors from all over the United States for the 24th annual show and sale in the pottery capitol of the world. https://www.mydailytribune.com/wp-content/uploads/sites/42/2018/07/web1_7.11-Pottery-1_ne2018710122852428.jpgThe 25th annual Hull Pottery Association show and sale will take place this week in Crooksville. https://www.mydailytribune.com/wp-content/uploads/sites/42/2018/07/web1_7.11-Pottery-2_ne2018710123013226.jpgTo mark the 25th year a commemorative piece of pottery has been made.